Judy A. Freeman Cousineau, 72 passed away in Encinitas, California on September 7, 2015. She fought Myelofibrosis with all her might. Judy was born November 5, 1942 in Fargo, North Dakota. 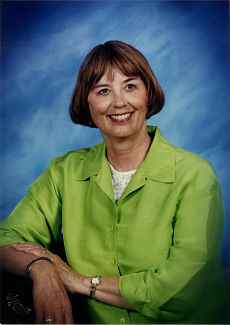 She attended Morehead State Teachers College in Minnesota. Judy was a long time resident of Goleta/Santa Barbara and worked as a Special Education Instructional Aide with the Goleta Union School District for almost 30 years. She had a special talent for teaching reading to young children. Judy loved life and didn’t want to miss anything. She had a great sense of humor and loved making people laugh. She always took it as a challenge to make people smile. She didn’t shy away from color, and loved to add color to her quilts, garden and clothing. Judy enjoyed many things including being with her family and friends, quilting, walking, traveling, gardening, shopping, entertaining, volunteering and playing music whether the clarinet, ukelele or spoons. She treasured her time in the Prime Time Band and Ukelele Lulus. Judy loved volunteering at the Assistance League of Santa Barbara. She also enjoyed her book club, quilting guild, and the Alegria Social Club and a special shout out to the Pinon Pussies. She is survived by her children Amy Freeman (Ed Callaway), Lance Freeman and Wendy Roth (Matthew Roth) and grandchildren Jackson, Perri, Marin, Christian, Riley, Alison, Thompson and Carson and brother Larry Thompson, sister-in-law Diana Thompson and nephew Matthew Thompson. She was preceded in death by her husband Richard P. Cousineau. Memorial contributions are welcome at Domestic Violence Solutions for Santa Barbara County, P.O. Box 1536, Santa Barbara, CA 93102 or The Assistance League of Santa Barbara 1249 Veronica Springs Road, Santa Barbara, CA 93105. A celebration of life will be held at the Goleta Valley Community Center, 5679 Hollister Ave. on Sunday, October 11, 2015 from 1 to 3pm.